This article, aimed at therapists, coaches, and counsellors, describes the use of peripheral vision as a trigger to the parasympathetic nervous system. The technique can easily be taught to clients as a relaxation aid. The article contains an example induction script with explanatory notes, and some case histories illustrating the benefits of the technique. It also suggests some ways in which therapists can use the technique for themselves. When Gavin came to see me he was desperate. Formerly a high-flying professional, he had lost a succession of high-paying jobs through panic attacks which on a typical day at work would occur six or seven times. He described the typical panic attack symptoms – breathing fast, feeling dizzy, going very red and sweating profusely, accompanied by extreme feelings of self-consciousness. When this happened in a work environment he would usually excuse himself and leave the meeting (or whatever) until he calmed down. Naturally he was worried that this would be seen as unusual behaviour, which increased his self-consciousness and contributed to the vicious circle of anxiety which made further attacks still more likely. Gavin had been suffering attacks for about five years. The frequency of the attacks gradually increased over that time. His only ways of relaxing were to go to the gym – which probably helped a bit – and to drink heavily in the evenings, which definitely did not help as it left him weakened, sweaty and vulnerable to further attacks the next day. He was a few weeks into his current post, which was of lower status and less well paid than previous jobs. A friend had got him hired and he regarded it as very much a last chance; despite this, he was on the verge of quitting due to the panic attacks. When I add that the technique is an easy way into trance or meditation, that it is extremely helpful for ‘difficult’ situations and public speaking, and that it can be used to depotentialise unpleasant memories and anxiety-provoking imagined situations, perhaps you may want to find out about it too. Very often in modern life we see things with a kind of mild tunnel vision, where we are very focused on one thing and ignore everything around else. Think of when you watch TV and you don’t really notice the rest of the room; or using a computer, whether for work or play, where the screen becomes the only thing that’s real; or reading or writing, where we only really see the page. Even talking to people, we tend to focus on their eyes and faces and ignore the rest of them. This kind of tunnel vision or ‘foveal’ vision also seems to go with an inner tunnel vision, where we get obsessed or fixated on something and lose context. So it goes with worry, obsession, fixation and also seems correlated with rushing around, and with arousal of the sympathetic nervous system, producing adrenaline and other stress chemicals. Peripheral vision is the opposite. It’s about paying attention to what’s happening at the edges – the periphery – of your field of vision. If you try it for a moment in an environment where things or people are moving, you’ll notice some differences from normal foveal vision. You may become more aware of movement. At the edges of your vision, you may be less aware of colour and contrast distinctions. You could experiment for a moment now with lifting a hand up to the side of your face and waggling your fingers. If you gradually move your hand back, you’ll find a point where you can see the fingers when they are waggling, but not when they are still (incidentally, this is how creatures such as frogs and geckos see everything). This is the very periphery of your vision. In the retina we have two types of light receptor cells – cone cells, which detect colour, and rod cells, which detect movement. The cone cells are grouped towards the middle of the retina, while rod cells predominate around the edges. This is why we notice movement rather than colour at the periphery of our vision. While the value of peripheral vision seems to have been largely forgotten in modern society – technological advances such as literacy, television and computers have led us to spend more and more time in foveal vision – it has a long track record in older cultures. Shamanic cultural traditions such as Hawaiian Huna used peripheral vision as a way into altered states. Martial arts encourage peripheral vision as a means to relaxed alertness. Carlos Castaneda’s books on Mexican shamanism refer to peripheral vision as a way of ‘stopping the world’: shutting down the internal dialogue or ‘inventory’ with which, Castaneda maintains, we create our everyday consensus reality. The best way to learn about the effects of peripheral vision is to experience it yourself. There follows an annotated script of the kind of things I would say to a client to help them experience peripheral vision. I recommend that you get someone to take you through the process, or memorise the main points and take yourself through it. Move off to one side of them Now this is a visual technique, so I’m going to get out of your line of sight, and just for a while I want you to forget that rule of polite society which says you have to look at someone when they are talking to you…. You could cheat by having a black spot already fixed to the wall in the appropriate place What I want you to do instead is to get comfortable and find a point on the wall which is straight in front of you and slightly above your eye level…. And just continue to look at that point in soft focus, noticing everything about that point…. This is pacing their current experience but is also a suggestion And this way of looking at things, this tunnel vision, is the way that we look at a lot of things in modern society…. When you watch TV, you don’t really notice the rest of the room….When you are reading or writing, you only notice the page…. Or when you are working on a computer….. Even when we talk to someone, we tend to look at their eyes or face and ignore the rest of them…. And this way of looking at things also goes with a kind of inner tunnel vision…. With obsession, fixation, worry, stress, rushing around, adrenaline…. Embedded command – they have been asked to do something but don’t know what it is yet, so they are receptive to the instructions that follow But there is another way of looking at things, and I’d like you to experience that way now…. So as your eyes continue to look at the same point, your eyes don’t move, but you can begin to broaden out your field of vision and notice what’s either side of that point and your field of vision can get wider and wider until you’re really paying attention to what you can see out of the corners of your eyes…. At the periphery of your vision…. A 180° field of vision is not unusual – sometimes more And you might be quite interested to find out how far round your peripheral vision goes…. So I’m going to stand here moving my hand up and down... you can see that? – and gradually move it backwards and you can let me know when it disappears…. and somewhere around here you can probably see it when it’s moving.and not when it’s still…. And that is the periphery of your vision… And I’d like you to extend your awareness all the way around behind you…. Or am I? Of course I’m not suggesting you can see behind you…. But just use your sense of hearing or spatial awareness to be aware of what’s behind you as well…. 360°…. And you may have noticed that your breathing has slowed down a little…. Maybe the muscles of your face have relaxed…. Perhaps especially your jaw muscles…. And you can help them along as much as you like. Covering myself in case it hasn’t happened And it’s probably a bit early for this to have happened just yet…. But if you were to stay in peripheral vision for any length of time…. You might find that your hands begin to get warm…. Or even your feet… But it’s probably a little early for that to have happened just yet… And the really interesting thing about peripheral vision…. Is that it seems to activate the parasympathetic nervous system…. The part of your nervous system that calms you down…. And slows your breathing down…. And even your heartbeat slows down. And your mind and body and emotions can come back into balance…. And your immune system is boosted…. So this relaxed state… Is just not compatible with adrenaline and other stress chemicals. Embedded suggestions So when you’re really in peripheral vision…. You can’t be stressed…. You can’t be worried…. And I don’t want you to go all the way deep into this state now…. Because you’ll have lots of opportunities to practise… At home or at work…. So I’d like you to begin to return to normal waking consciousness now…. By letting your field of vision narrow back down…. and welcome back!. At this point you could continue on into trance. When the client comes back I ask them how the experience was for them. Typically they have experienced a feeling of relaxation which stays with them. Many people also notice their hands getting warmer. In a few cases they find the concentration on one point for so long uncomfortable and would have liked to close their eyes – which of course would be fine. An interesting feature of peripheral vision is that clients who normally have an internal dialogue or commentary going generally find that it slows down or stops when they go into peripheral vision. The realisation that they can shut down internal dialogue can in itself be very empowering for many clients. Sometimes a client will say: “Wasn’t it just your soothing hypnotic voice that was relaxing me? I’m sure it wouldn’t be the same if I were to try to do it on my own.” To which, obviously, I invite them to try it on their own there and then while I remain silent. So far every client has been able to reproduce the relaxation response by themselves, which acts as a strong convincer that they will be able to do it for themselves outside the consulting room. I also emphasise that the initial focus on one point and consequent tunnel vision is just a starting point, to emphasise the contrast between the two ways of seeing as much as anything. With a little practice you can turn your head while remaining in peripheral vision and discover that of course the periphery of your vision moves round with you. Some readers may ask, “What If I have a client who is visually impaired?” The answer is peripheral hearing, which works just as well. Just get the client to listen to what they can hear either side of them. What might go wrong with this technique? Well, a workshop participant trying this out in an exercise said that he suffered from tinnitus in one ear, and peripheral listening actually focused him more on the tinnitus. I asked him to listen to what he could hear further away to each side, which seemed to do the trick. Of course, we covered a lot more than peripheral vision in Gavin’s first session. Nevertheless, at his next session he reported back that he had been using peripheral vision both for regular short breaks of intensive relaxation, and to get him through the few occasions when panic attacks recurred. In subsequent sessions he said that he was continuing to use peripheral vision to relax even though the panic attacks had ceased, partly as a preventative measure and partly so that he remained confident that if panic attacks ever did recur, he had a powerful method of controlling his own state and remaining calm. As a result, he was able to settle into enjoying his job. He also now had a way of switching off from his job in the evening and consequently was not dependent on drink to relax. His sleeping patterns and energy levels improved as a result. As anyone who has ever had a client presenting with panic attacks will realise, creating positive expectations of ability to deal with attacks and breaking the vicious circle of anxiety leading to attack leading to anxiety is more than half the battle. The only client of this type who did not take to peripheral vision was so deeply locked into the panic attack pattern that he tended to interpret any change of state from ‘normal’ (i.e. his habituated background level of anxiety) as the beginning of an attack. He therefore could not get beyond the initial eye fixation stage. Fortunately he did respond better to a centring technique and was able to relax somewhat from there. Like any other technique, there are always going to be a handful of clients for whom peripheral vision is not the right thing to use; and as with any other technique, you have to pay attention to the client and notice what is happening. Because it is harmless and easy to back out of, peripheral vision makes a good first intervention in any case involving stress, anxiety, or the client feeling out of control. The other thing to emphasise to clients is that peripheral vision is a ‘use it or lose it’ skill – they should practice slipping into relaxation with peripheral vision until they can do it without thinking in stressful situations. If don’t practise it and don’t attempt to use it until they are having a panic attack, the chances are they won’t remember how to do it or the relaxing effects will be too weak to overcome the attack. As therapists, of course, we can also find ourselves in anxiety provoking situations – particularly if we are giving a talk or running a workshop. One of the first things I was taught on a presentation skills course I attended was to go into peripheral vision when standing up in front of an audience. Not only does this calm any stage fright, it also allows you to see the whole audience. Because small movements are much more noticeable in peripheral vision, it is much easier to sense how well you are going down. You can more easily be aware of the little subliminal nods people give when they agree with you – as well as embarrassed squirms or stifled yawns when they don’t! So I also teach this technique to clients seeking to overcome public speaking nerves. To summarise: peripheral vision is an excellent and easy to use addition to any therapist’s toolkit. It will benefit clients presenting with stress, anxiety, panic attacks or low self-esteem, and is particularly useful with social phobias or any situation where the client needs to be able to control their state. Because clients can use the technique by themselves rapidly wherever they are, and because they can control the intensity of the relaxation to place themselves at any point on the spectrum from mild, alert relaxation to full-on trance, it is very empowering for the client. I am indebted to Amy Chu for teaching me the technique originally as a student on her NLP practitioner course. 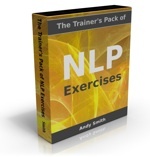 The American NLP trainers Tad James and John Overdurf and Julie Silverthorn have done a lot to popularise the use of peripheral vision within the NLP community. John and Julie’s tape Neuro Drivers, part of the Pathways to Integration tape set, provides a good introduction to the technique. Wow, it really is off-topic! But the way to do it, assuming it’s a WordPress site, is to use a responsive WordPress theme. Or you could try the WP Touch plugin which works pretty well most of the time. This was a very useful read, thank you for sharing! How could you use the peripheral vision technique for young children who suffer from lack of concentration at school or at home? I know this can also help ‘recall’ information and stop us from having negative thoughts so I would like to use this to assist young children. Thanks for the article. This is a really useful technique to know and I’ve already tried it on myself. I’m curious about the centring technique you used with another client. Is that suitable for someone who panics when they notice changes in their body such as numbness or changes in breathing? I’m looking for such a technique at the moment. Could you tell me more? I learned it from aikido, and it’s also commonly taught in tai chi and yoga classes.